Reducing Cost and Improving Efficiency with Medical Kitting and Assembly Services Performance Packaging | Fabrico, A Division of EIS, Inc.
Fabrico Medical offers a variety of assembly and kitting services that improve efficiency and productivity. Assembly and kitting, or performance packaging services, accommodate virtually any volume and any need, providing just-in-time product completion and reduced operating costs by way of demand-driven processes. 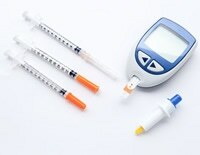 Medical device kitting and configurations include meter test kits, diagnostic kits, and first aid custom packaging. Performance packaging is an important inventory management solution because it provides all the components required for a job at one time. Customers' facilities are used more effectively, eliminating pre-stage operations and inventory shortages, and material picking errors are reduced or eliminated. Kitting and assembly services also help to reduce inventory and simplify material management for the customer. Kits supported by Fabrico Medical can incorporate an unlimited number of pieces and may contain both Fabrico Medical-produced materials and outsourced components. Kitted items can vary not only in size and dimension, but also in materials content. Additionally, Fabrico Medical offers certified Class 10,000, climate-controlled clean room kitting, assembly and packaging.